OSD Audio’s Bluetooth®-ready in-wall volume control with amplification lets you control the volume of your whole house audio system or home theater without the need of a separate amplifier or receiver. 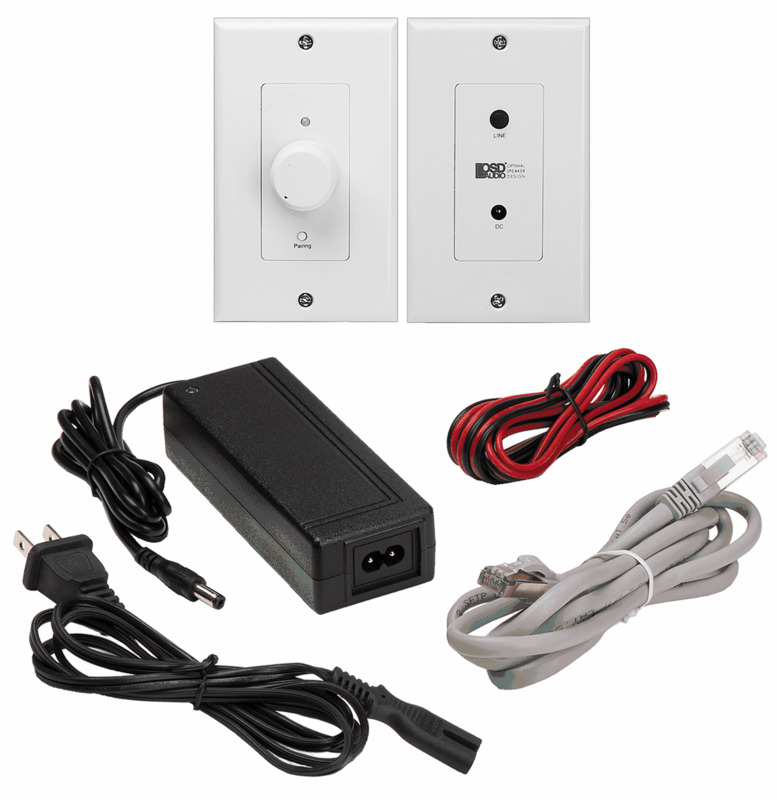 This simple-to-install volume control includes a Bluetooth® receiver and a separate amplifier so you can manage the volume of your entertainment through your cellphone, tablet or computer. Unlike traditional in-wall volume controls which must be connected to a separate amplifier, the XWB50 includes a 50W (2 X25 RMS @4ohms) amplifier. 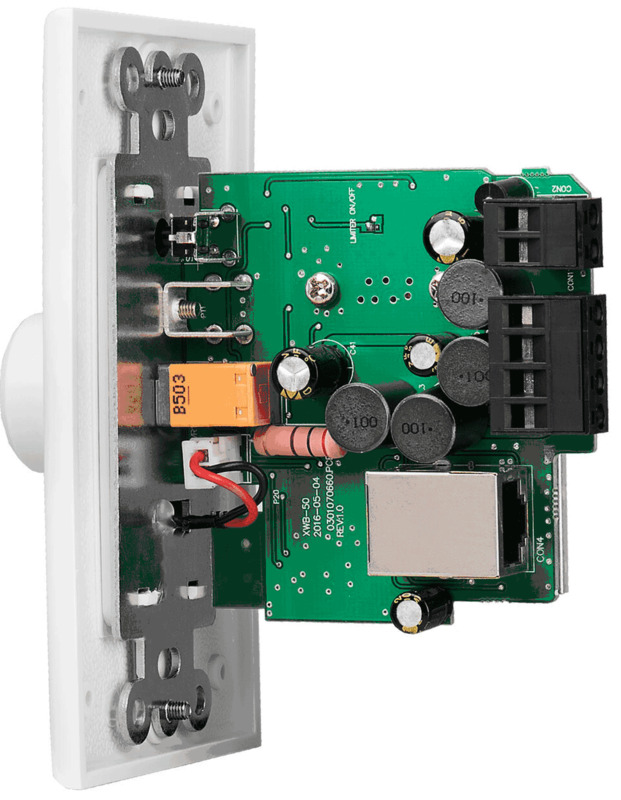 This means power is built into the system so you can enjoy clear, crisp and powerful audio without having to connect to an amp. 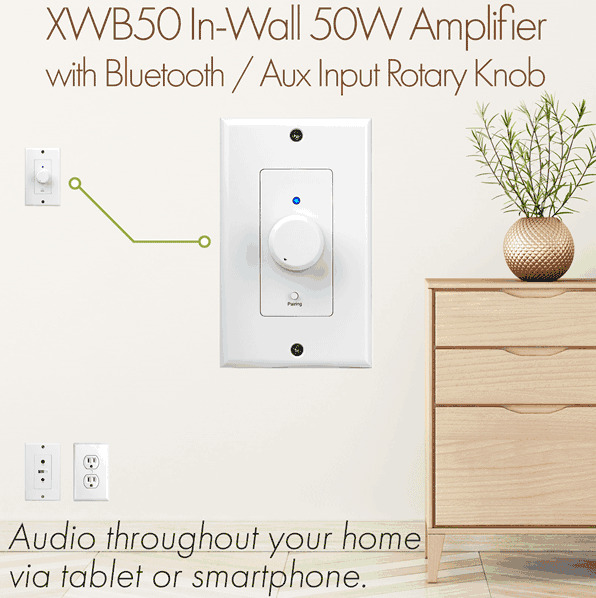 The XWB50’s Bluetooth® receiver also has a wireless range up to 32.8 feet (10m) to control volume from various areas of the room. 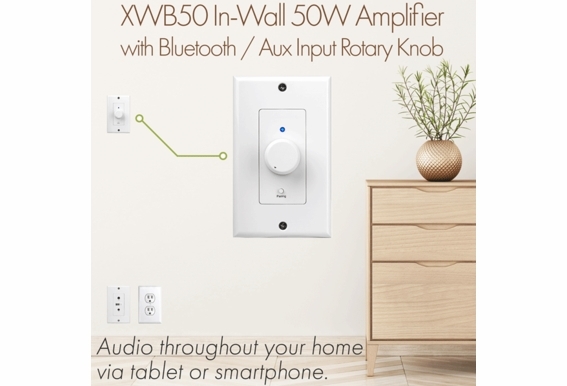 Ideal for whole-house audio, media rooms and home theaters, this truly unique powered in-wall volume control includes 3.5mm aux input to connect to your cellphone or other device directly, which is a handy feature for those times when Bluetooth® is not available or a bit sketchy. 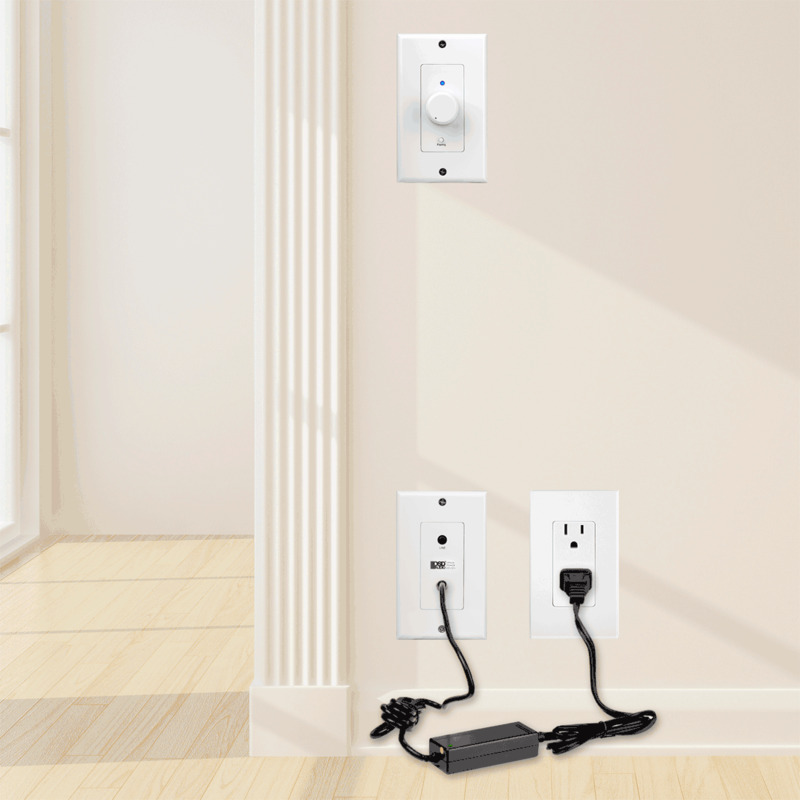 The Decora-style plate can be mounted anywhere close to a standard outlet, and the amplifier mounts in the wall as well and can be installed out of sight near the outlet. All connecting cables, power supply and power cord is included so there will be no last-minute trips to the hardware store. 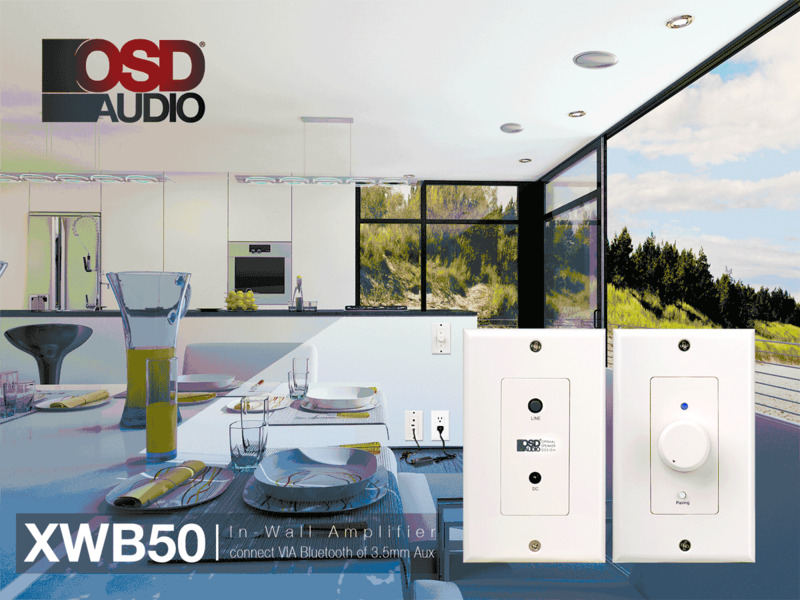 Designed with precision electronics to provide low distortion and a flat frequency response, the XWB50 installs easily and works with virtually any audio system, and you don’t need to be an electrician or even that handy to install the unit and start filling your room with the music you love. 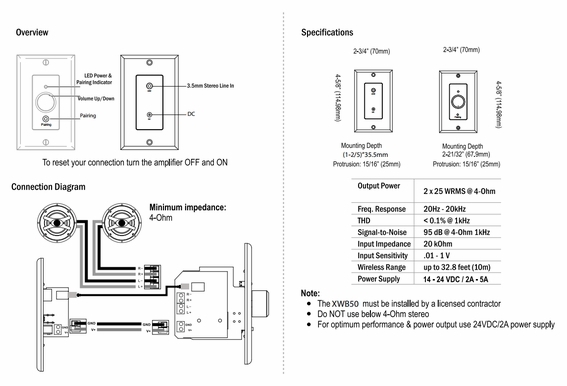 Just to be clear - is the CAT-5 connection between the two plates for the 3.5mm AUX input, or is it for the 24V power? It's hard to tell from the documentation and the photos. 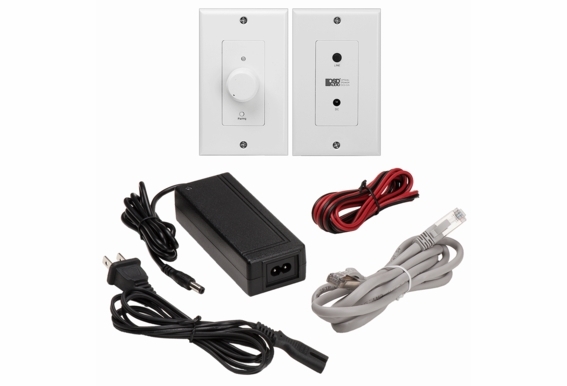 I am considering using these units in several rooms, and using a 24V / 2A power distribution box in a central location to feed them power instead of using the included power supplies to minimize the in-room clutter, and need to know what kind of wiring is needed for the power connection to the XWB50. Thanks in advance for your time in replying! Purchased the XWB50 and a pair of 6.5" speakers. 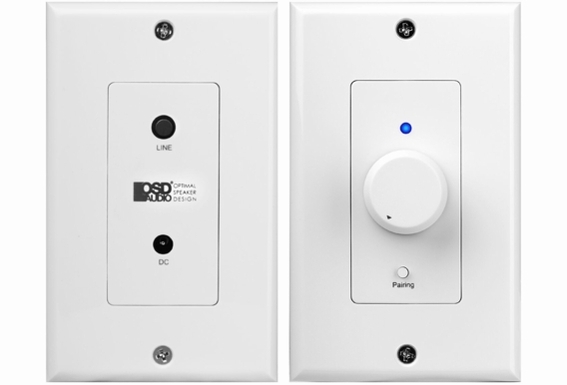 May be a simple question but is it possible to buy a second set of speakers and run them through the iss4 speaker selector and switch back and forth between two locations. 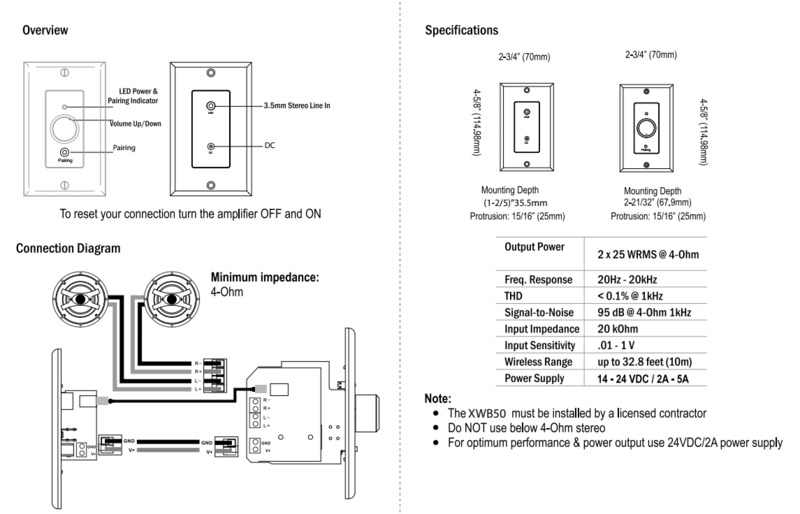 If I don't need the 3.5mm jack, can I plug a 24 Vdc source into the parts with the knob and not using the parts with the 3.5mm jack? 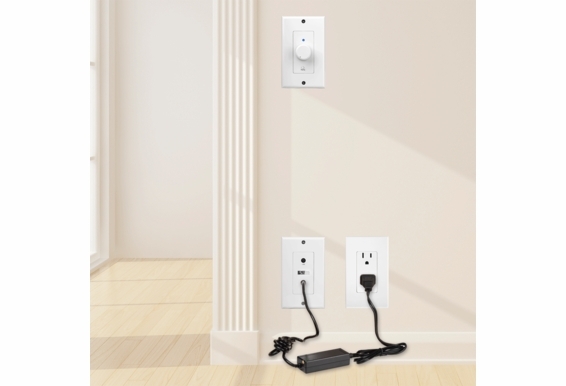 With multiple installations in my home, connecting to the right location could be problematic. Is there a way to rename the device so I can tell what room I'm connecting to? I own the BTP525 speakers, and they are great, mounted outside on my patio. Currently I also have a tv outside with a 3.5mm adapter to bluetooth transmitter to transmit to the speakers. It works, but the tv is mounted high and if i want to switch between the tv to bluetooth speakers to a phone/ speakers, i have to get up on a ladder to disconnect, etc. 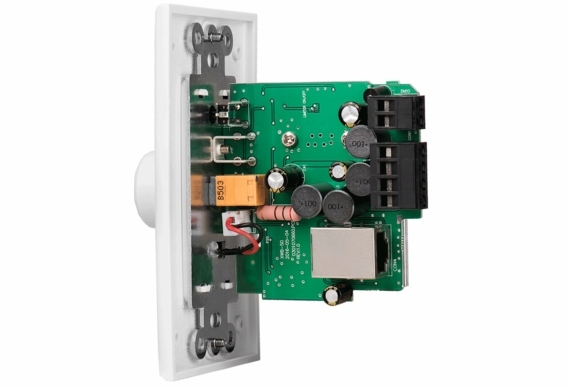 I was wondering with this product, if i can mount this volume control plate next to the tv at a normal height, run the power & 3.5mm to the new wall plate will it transmit bluetooth to the speakers and use the volume control knob to control the volume? Can multiple units be used in the same house at the same time? Can this device be hard wired in to power? ?